Lina holds a Master of Counselling (Advanced) and a Bachelor of Science (Hons) Psychology and Counselling. Furthermore, she is a certified practitioner in Transactional Analysis (TA). Originally from Denmark, she has lived in the UK for 14 years before moving to Singapore, where she has lived for more than 10 years. Being an expat herself, she has experienced the ups and downs of expatriate life and appreciates the challenges around adjustment and transitions individuals, couples and families may encounter settling and living in a new country. Panic Attacks, Phobias and Depression. Social issues, such as Growth Mindset and Self- esteem development, Assertive Problems. Life-changing events (Life Adjustments/Transitions Issues, Adolescent related Issues, Parenting, Third Culture Kid Identity Issues), Loss and Trauma. She tailors each client’s treatment according to their needs, helping them meet their resources and motivate them to go through changes and overcome their problems. 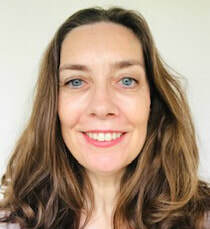 Lina employs a client-centred, collaborative therapeutic approach and believes therapy should empower clients to create the life they wish for. She sees her role in the counselling process as that of an active guide, who will help and support her clients through any issue they may face, focusing on the past, present and future, as she believes they all have a part to play in who we are. Lina is a registered member of Singapore Association for Counselling (SAC). She is fluent in Danish and English and has good knowledge of Swedish and German.